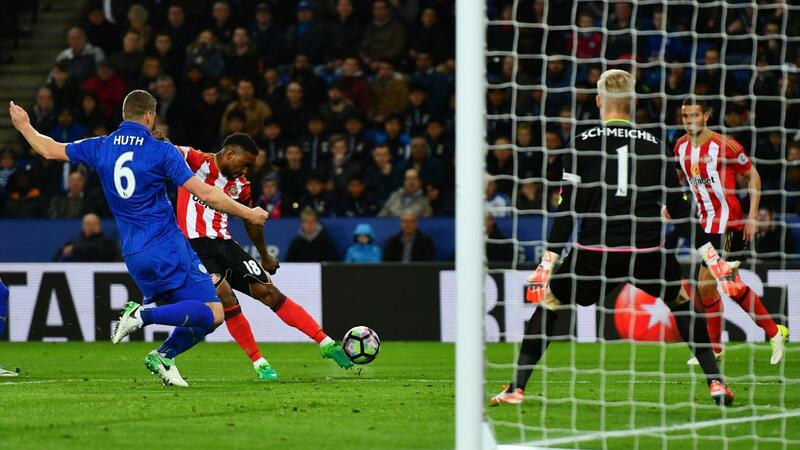 The goalscorers dominated the Fantasy Premier League bonus points in Leicester City’s 2-0 win over Sunderland on Tuesday evening. Jamie Vardy (£10.0m) collected the maximum three points thanks to a tally of 34 in the Bonus Points System (BPS). Registering two of his three shots on target, the striker provided the Foxes’ second goal and also won two tackles in another impressive display. Islam Slimani (£8.2m) claimed two bonus points, with 33 in the BPS. The Algerian emerged from the bench to head Leicester’s opener and create four goalscoring opportunities. Marc Albrighton (£4.9m) and Christian Fuchs (£5.3m) both received a single bonus point after tallying 29 in the BPS. 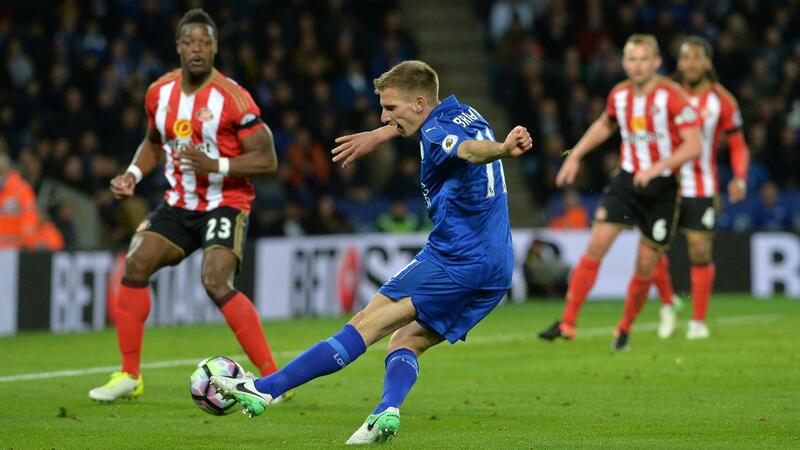 Albrighton made an impact as a second-half substitute by supplying the assists for both goals. Fuchs, meanwhile, made six recoveries and 10 clearances, blocks and interceptions (CBI), helping his side to a second successive shutout. The left-back also completed 78% of 32 attempted passes, three of which led to chances. Second for transfers in ahead of Gameweek 31, Vardy – captained by 7.4% of FPL managers – continues to flourish under Craig Shakespeare and has five goals and two assists in his last five Gameweeks. But he faces a tough upcoming schedule as the Foxes embark on a run of four successive away matches, with trips to Everton, Crystal Palace, Arsenal and West Bromwich Albion to come. Both Albrighton and Slimani will be pushing for starting roles at Goodison Park. Having missed the weekend win over Stoke City due to illness, Albrighton has four assists in as many Gameweeks and will be expected to replace Demarai Gray (£4.8m) on the left flank. Sunderland have failed to score in eight of their last nine Gameweeks ahead of a home encounter with Manchester United. Jermain Defoe’s FPL stock (£7.8m) continues to decline. He is the most-sold forward since Tuesday’s deadline, with 5,700+ managers already parting company. Yet the striker still boasted a significant threat at the King Power Stadium. His tally of six shots on goal and five shots inside the penalty area betters any striker in Gameweek 31 ahead of tonight's six matches.